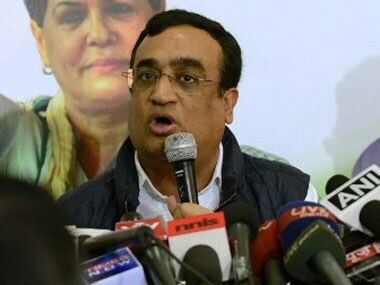 Delhi Congress president Ajay Maken’s relentless attacks on Aam Aadmi Party conforms to the model that Congress began to subscribed ever since its decline started following the rise of Bharatiya Janata Party. 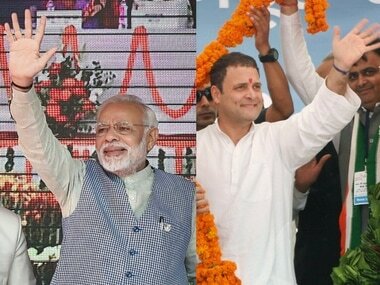 Call it the model of comeback built on the assumption that BJP’s Hindutva and misgovernance will scare left-liberals, the genteel right wing, and the ideologically neutral into voting for Congress. 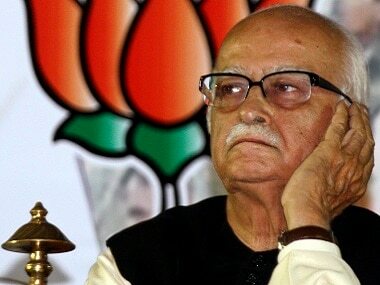 Where else can these disenchanted groups go but flock to the tent of India’s grand old party? After all, it is the only national alternative to BJP. Congress has to only ensure that state-based parties take away as few anti-BJP votes as possible in order for it (Congress) to return to power. This deeply flawed model of comeback has inspired Maken to train his guns on AAP instead of BJP. True, Congress feels bitter at AAP having grown at its expense in Delhi. It is also true that as an opposition party it must raise issues on which the ruling party is found wanting. It is indeed the right of Congress to rebuild itself for a comeback. Yet Congress leaders and their supporters never miss an opportunity to emphasise the necessity of forging a broad front to take on BJP in the 2019 Lok Sabha elections. The need of the hour, they say, is to reconcile competing interests among Opposition parties to check Hindutva’s ascendancy and the Modi government’s growing authoritarianism. Or else, India’s democracy will be imperiled, and the cherished values of the Republic will be eroded, the Congress argues. But such worries begin to sound hypocritical when there is a gross mismatch between its rhetoric and action. Maken has created tremendous sound and fury over AAP’s parliamentary secretaries even though the Congress government in Karnataka has 10 of them, each having the status and salaries equivalent to that of a minister. A week before the Election Commission recommended to the President that 20 AAP MLAs should be disqualified for holding "office of profit", Maken had met Chief Election Commissioner Achal Kumar Joti urging him to take the precipitate measure. In July 2016, Maken had sought to become a party to the “office of profit” case, but the Election Commission rejected his plea. Perhaps Maken believes bye-elections in the 20 seats (which could be vacated following AAP MLAs disqualification) in Delhi could provide Congress a chance to enter the Assembly, where it doesn’t have a seat, and prove his mettle to the Congress high command. As of now, he and his party seem to be punching well above their weight; bye-elections to these 20 seats are likely to boost BJP’s tally, giving it yet another victory to crow about. Few will deny that the Modi government has created obstacles to prevent smooth functioning of the AAP government, objecting to just about every initiative it had taken, either delaying projects or scuppering them altogether. Though the Supreme Court is yet to determine as to who is the government in Delhi, the NDA government’s propensity to stonewall Delhi Chief Minister Arvind Kejriwal, through the office of the Lieutenant Governor of Delhi, meets the definition of authoritarianism that Congress often invokes to criticise Prime Minister Narendra Modi. Yet Congress has chosen to be seen on BJP’s side. Whether it is about the Mohalla clinics, improvement in government schools, allocation of land to AAP to build its office, or, the party's advertisement expenditure, Maken has been firing at AAP like a man possessed. It is presumed his strategy has the backing of Congress president Rahul Gandhi, who is said to have a soft corner for the Delhi president. Perhaps Congress hasn’t forgiven AAP for having launched the anti-corruption movement in its earlier avatar, targeting the Manmohan Singh government and eroding its credibility. The narrative that AAP created was indeed an important factor behind Congress' defeat. It is now time for India’s grand old party to take its revenge on AAP. This too is understandable because vengeance has long been the norm in Indian politics. A new story gets revealed if you were to look at Congress from the perspective of the last 28 years, that is to say, after it lost the 1989 Lok Sabha elections. This style seemingly stems from the belief that the best way to fight BJP is to weaken the state-based parties. For instance, through the 1990s, Congress' focus of attack had been Lalu Prasad Yadav, Mulayam Singh Yadav, and the Kanshi Ram-Mayawati duo. Congress targeted them because each of these four leaders had ferreted away a chunk of its traditional base. But so had BJP, to which the upper caste voters of Congress migrated. Unable to reinvigorate its organisation, or reinvent itself, the upper caste leadership structure of Congress could scarcely conceal its disdain for the emerging OBC and Dalits leaders. It attacked them even though they were, on the side, arrayed against Hindutva, hoping their weakening could correspondingly lead to its own strengthening and revival. It took Congress nearly 14 years to realise that it can’t possibly counter BJP without the support of regional outfits. In the months before the 2004 Lok Sabha elections, Sonia Gandhi overcame the biases of the Congress leadership to enter into alliances with regional outfits whose bosses were mostly non-upper caste. This was largely because Sonia, an Italian by birth, did not have a caste. It was thus that Lalu became a member of the United Progressive Alliance government in 2004 and 2009. 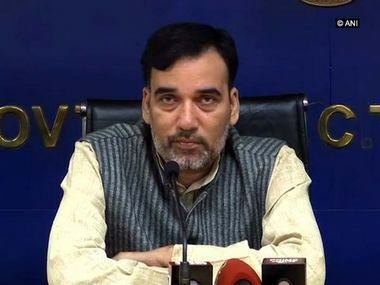 Maken’s attack on AAP is a throwback to the politics that Congress pursued in the 1990s, aimed at weakening those whose base overlaps with its own. This too is a justifiable pre-emptive measure. No party in the world loves a competition detrimental to its interests. But Congress and its supporters can’t also rail against parties which field candidates that turn elections into multi-cornered contests, weakening what is called the Index of Opposition Unity and benefitting BJP. Over the last three years, as soon as election results in any state are announced, we are given the precise number of seats the Congress lost because non-BJP formations gobbled votes that would have otherwise come to it. Really, Congress, to use a cliché, can’t eat its cake and have it too. It can’t attack state-based parties and still expect them to not field candidates so that Hindutva is trumped. Who would want to bear the cross of secularism to ensure that Congress comes to power despite its own ideological and organisational weaknesses? After all, Congress isn’t a movement, but another party jockeying for power. This is a fact that Congress supporters, including left-liberals, don’t understand. They want all small outfits to make sacrifices for the cause of secularism. For instance, months before the Gujarat elections they were critical of AAP’s decision to field candidates there. It was said that AAP and other outfits would eat into Congress votes and enable BJP to triumph. In case AAP contests all 60 Assembly seats in the forthcoming elections in Nagaland, the charge of it betraying the fight against secularism will be raised again. How about Congress asking Maken to think of the fight against Hindutva before he fires yet another volley against AAP? But Congress will not restrain Maken from attacking Kejriwal unlike Lalu or Mulayam and his son Akhilesh Yadav or Mayawati, all of whom are required for an alliance without which Congress knows BJP can’t be trumped. But then no such compulsion exists in Delhi especially since the state has just seven Lok Sabha constituencies and AAP can’t but fight in all of them. This is what drives Maken to snipe at AAP. His party believes that by joining BJP in tarnishing AAP’s image it can perhaps win over a large segment of its voters who too have anxieties about BJP’s rise. 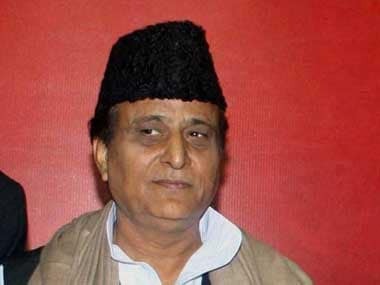 To be on the side of Hindutva to fight it is indeed a strange strategy. Congress thrives on the fear of Hindutva, but the party will not counter BJP. Congress’ model of comeback rests on such weak foundations.